Good morning! 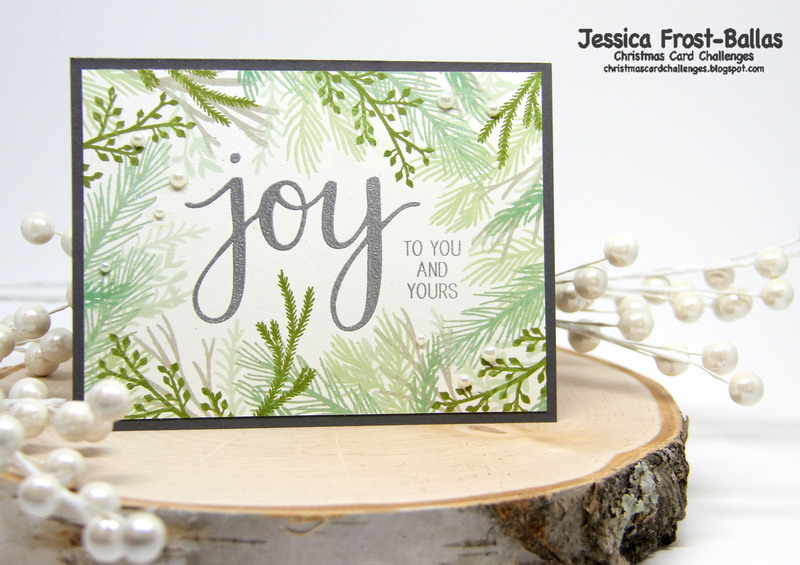 I’m excited to announce a new holiday card series on my blog! Last December, for the first time ever, I sent out every single Christmas card I had in my stash and actually had to make a few last-minute cards. Seriously not a fan of the last-minute Christmas card hustle. So this year I am determined to make sure that I’m making Christmas cards throughout the year so that I’m stocked and ready to go come December 1st! But sometimes it gets a little boring making Christmas cards (especially in January!) so I wanted to come up with something different and thought it’d be fun to include my crafty friends! 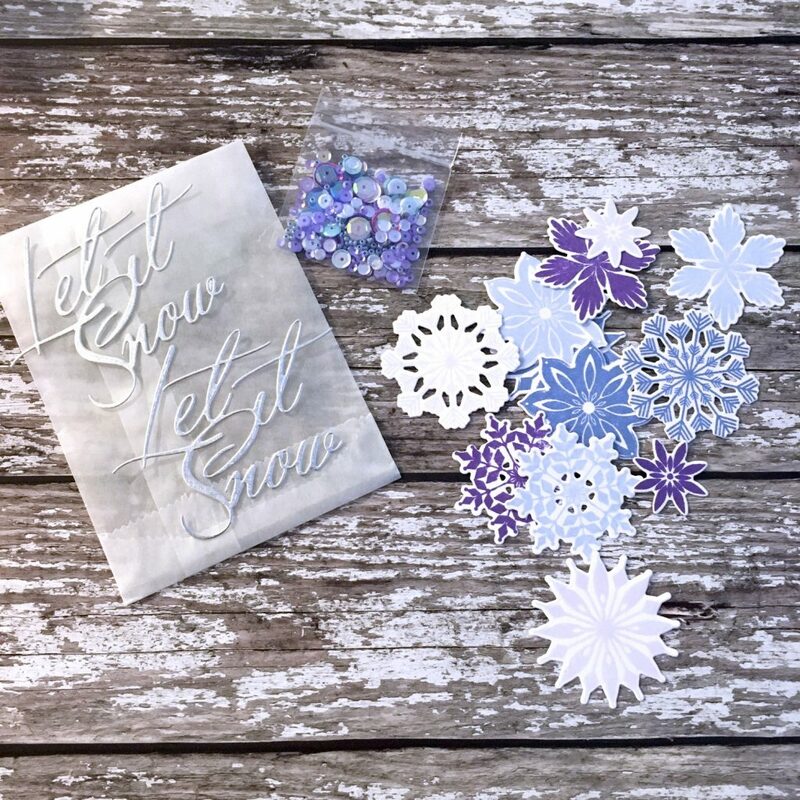 Each month a crafty friend and I will send each other something to help make a Christmas card…it might be a watercolored panel, a few die-cut images, a few stamped images, embellishments, etc. At the same time we will use the same items to create our own card and we won’t share what we’ve created with each other until after the cards are finished. And don’t forget to check out the bottom of my post for details on how you can join in the fun and enter two giveaways! 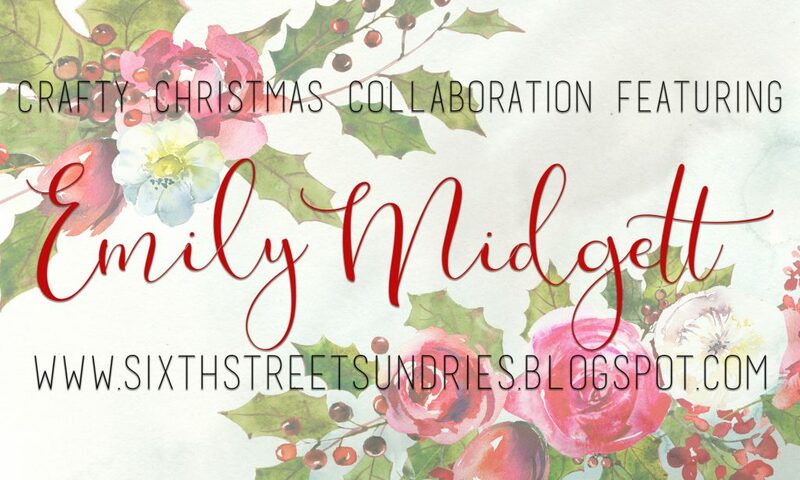 My first guest is the amazingly talented Emily Midgett! I started by die-cutting a circular mask and placed the negative over a piece of white cardstock. Then I blended evergreen bough and peacock feathers distress ink onto the panel concentrating most of the color at the top of my circle. I stamped the sentiment at the bottom with black ink. Next I colored my owl and branch with copic markers and adhered them to the card. I also added a little spectrum noir clear sparkle to the owl’s scarf. I adhered the embellishments with glossy accents and then added a thin layer of glossy accents to the owl’s scarf and the branch. I sprinkled the ice chips glitter over the glue to create icy sparkles! I really love the effect it creates! And this is what I created using the items that Emily sent me! 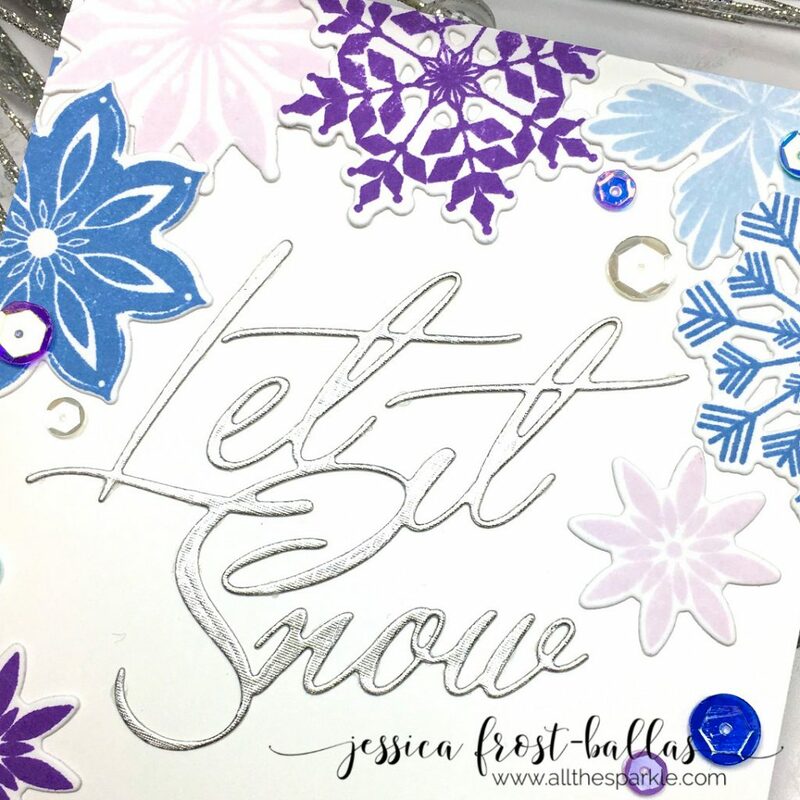 I love the snowflake dies she sent me and that sentiment die is gorgeous! I decided to keep it CAS and adhered the sentiments across a panel of white cardstock and then trimmed the excess off the edges of the panel. 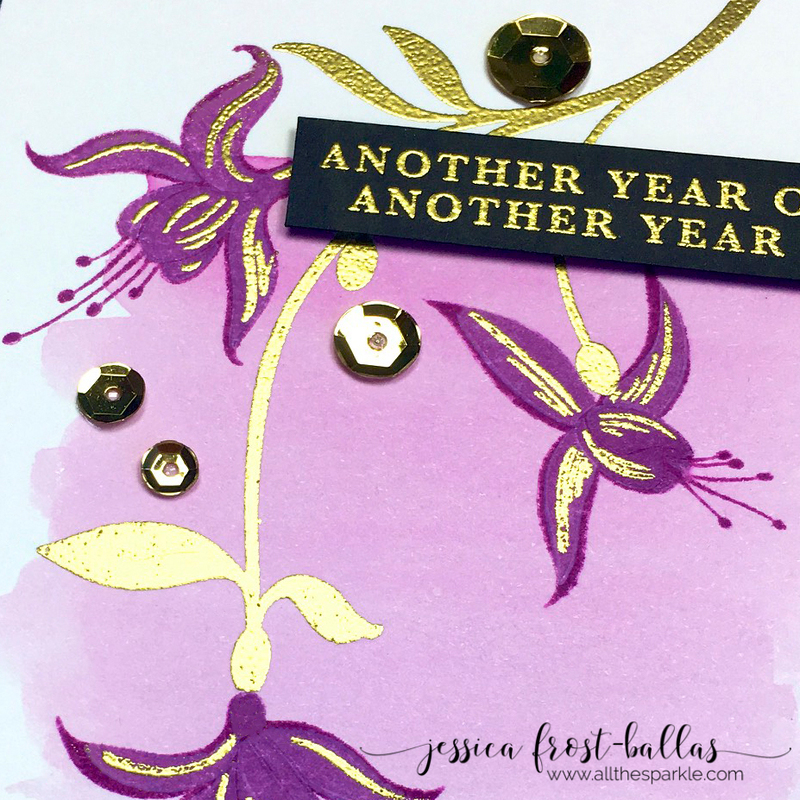 I adhered the sentiment to the card with glossy accents and then added a sprinkling of the iridescent sequins she sent! She chose beautiful colors for the snowflakes and I decided to just let them shine! I had a few leftover snowflakes and owls so I actually created two more cards in a similar layout and design to add to my stash! You can never have too many Christmas cards! 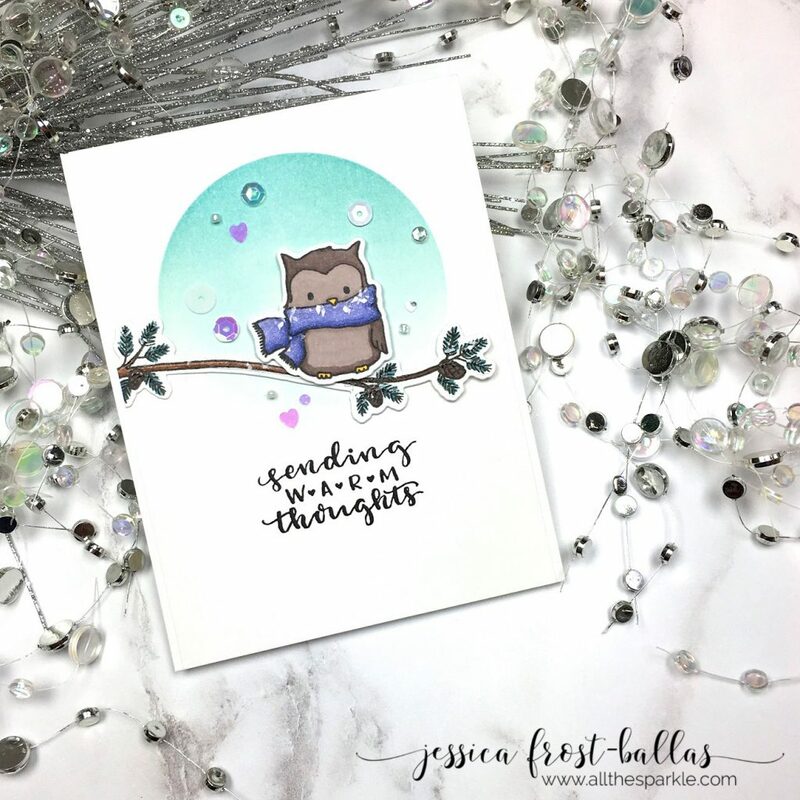 Lots of fun to mention with this new series…first, head over to Emily’s blog to check out the gorgeous cards she created using both sets of items! Her cards are amazing and so different from mine! I love the way people can use the same items with totally different results! Then check out the ways you can participate for the chance to win one of two giveaways below! I wanted to find a way to include as many crafty friends as I could so I’m including a link-up that will last ALL year long! 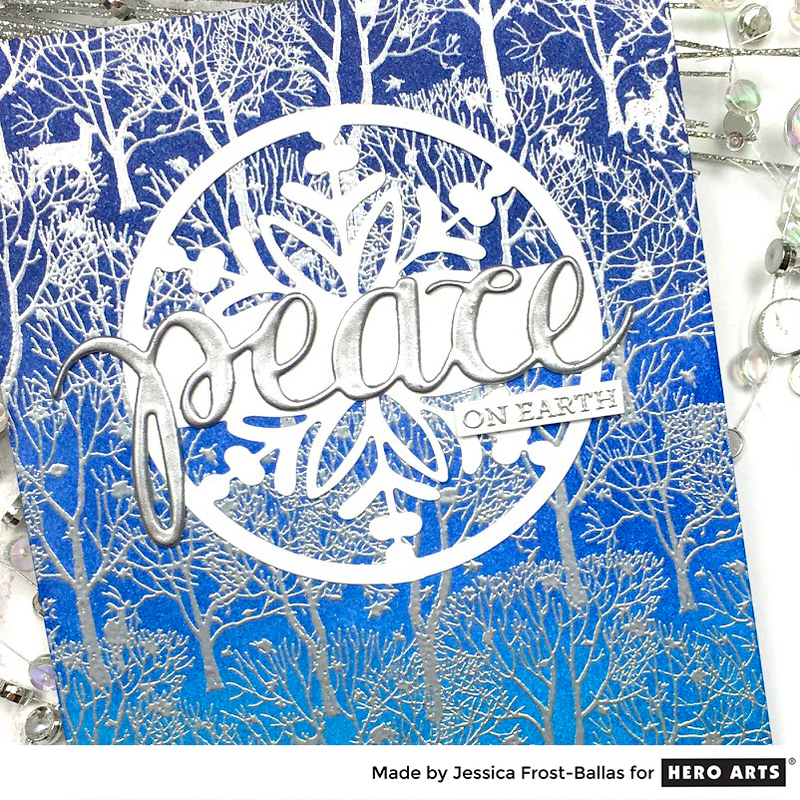 Please use my cards or Emily’s as your inspiration and link-up a holiday card! 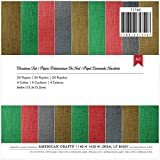 You can use the color schemes, layouts, specific stamps and dies, or techniques for your inspiration. 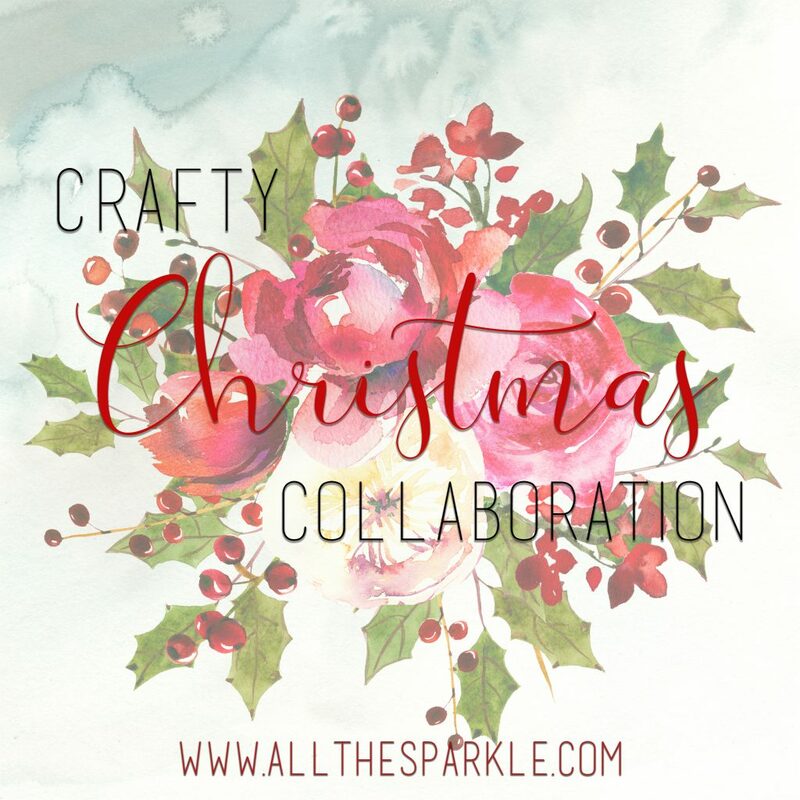 Include the Crafty Christmas Collaboration badge at the top of this post in your post and link to the month you’re using for inspiration for a chance to be included in the big Christmas giveaway. After the final post on December 25th, 2017 one lucky entry will win a $100 gift card to the crafty store of their choice! And each month I’ll have a smaller giveaway featuring one of the companies I used on that month’s card. This month I’m giving away a $25 gift card for Winnie and Walter to one lucky commenter! Please leave a comment on both my blog and Emily’s blog for a chance to win the gift card to Winnie and Walter! I’d love to know your thoughts on this series and if you’d like to see any specific companies featured! Please leave your comment before 11:59 PM EST on January 31st, 2017! Thanks so much for visiting and have a fantastic day! What a wonderful idea and thanks for the extra motivation and inspiration all year long! What a great series!! I start making my Christmas cards on Christmas Day while everyone else is napping. It gives me a little bit of relaxation and renews my energy while getting a head start on the next year! I usually have at least 300-400 cards done by July and almost a 1,000 by the time I send them out on the day before Thanksgiving! I would love to join in and hope to post a card later today! Thanks for the fun and chance to win!! Emily does not have her post up yet but I will keep checking for it! TFS! 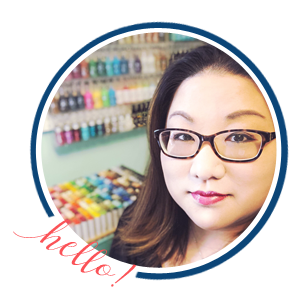 Would love to see Altenew, Stampendous, Heartfelt Creations, Hero Arts, Crafter’s Companion and Spellbinders as monthly sponsors! They all have such amazing products and are very inspirational! Love the snowflake card. 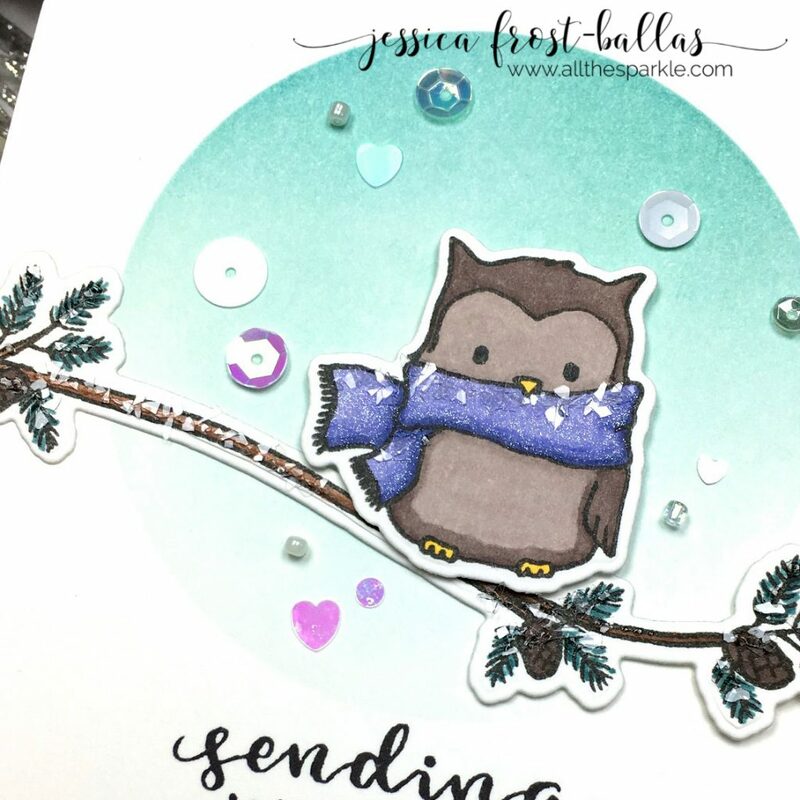 I have an owl stamp and will see if I can use mine to make a nice owl card like yours. Thanks for organizing this year long event… true motivator to become part of the event and share inspiration with everyone. Winnie and Walter is a great stamp company, I feature them in pub’s frequently. I think this is a very creative idea and a great way to make Christmas cards all year round. Beautiful cards! Wow! Such amazing series!!! Stunning idea!!! All these cards are really breathless!!! 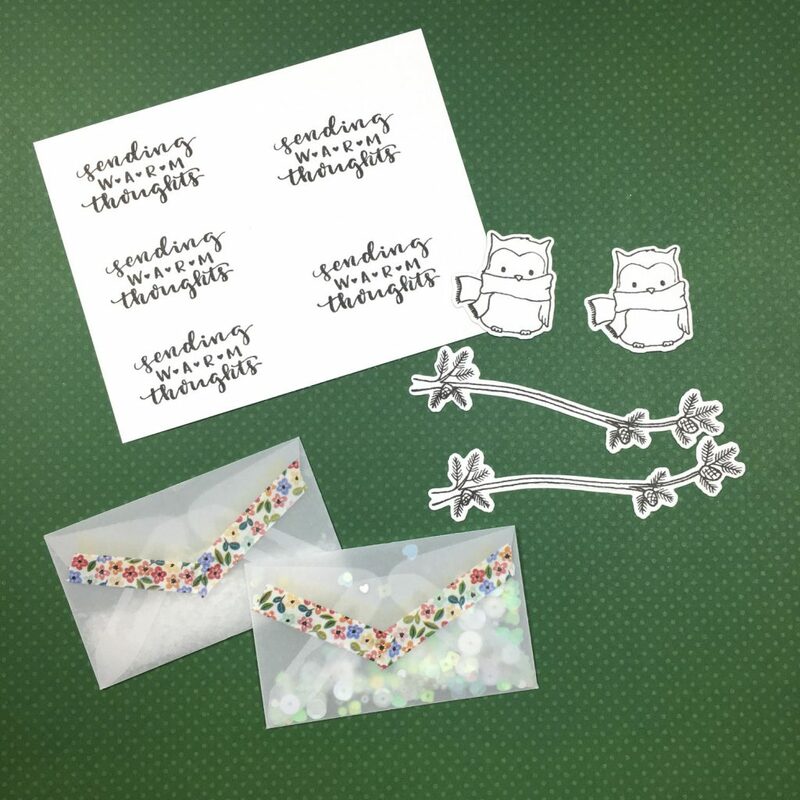 I’ve just received my first order from Papertrey Ink, so it was beautiful reading this post! Thank you for the inspiration!!! Just came back from Emily’s blog…you two have such different styles…both are so clever and unique. Love how , using the same, products, you both managed to create such disparate cards….elegant, playful and, oh so, gorgeous. I also get to compare how your mind works versus Emily’s. This is a terrific challenge idea…talk about thinking outside of the box. Good for both of you. Love this great idea for a series. Beautiful cards you created. Jessica this is a fantastic idea! I agree that it is always more motivating to create with a friend! Love what you did with the supplies you had and thank you for introducing me to Emily! Both of you created such inspiring cards! Fantastic cards! I love the flecks on snow on the owl’s purple scarf. I love your new challenge. It’s a great way to keep making cards. Hey Jess, What a GREAT idea! The inspiration from you and Emily’s cards is wonderful!! Your cards are SO BEAUTIFUL!! It’s so cool how different crafters can take the same supplies and turn them into their own style!! Keep the inspiration coming!! What a wonderful idea. I never stop making Christmas cards, and if I can keep up the current pace, I will have all my cards done by the 1st of November, which will please my DH immensely lol. Love your cards (the W&W stamp set finally arrived 2 weeks ago and I look forward to inking it up), and I cannot wait to see what Emily created. This is such a good idea! I’m really looking forward to this series. Both cards are super cute 🙂 I especially love that adorable owl, and the blue/silver color combo is so pretty! I love that you both sent each other things you wouldn’t normally use. I think that helps add to the creativity. I loved both cards. I love all kinds of stamp companies, so maybe feature some older (but still popular) stamps.. help us all rekindle our love of something we already own. Sounds fun, and both the cards are beautiful!, I will try to play along if I can find time! Oooh, what beautiful cards! And such a clever idea too. I very much enjoy seeing collaborations amongst crafty idols. And I would love to see what you can do with LID! What a fun idea, Jess! A great way to get lots of cards done before Christmas. I’m going to check with a couple of my crafting buddies & see if they would like to try it. Will try to link some to your contest also. So fun to see how different your cards are from Emily’s. I love them all. I would love to see some products from Penny Black, Stampin Up & more PTI used. Thanks for all the inspiration! What an awesome idea this is; I love it! 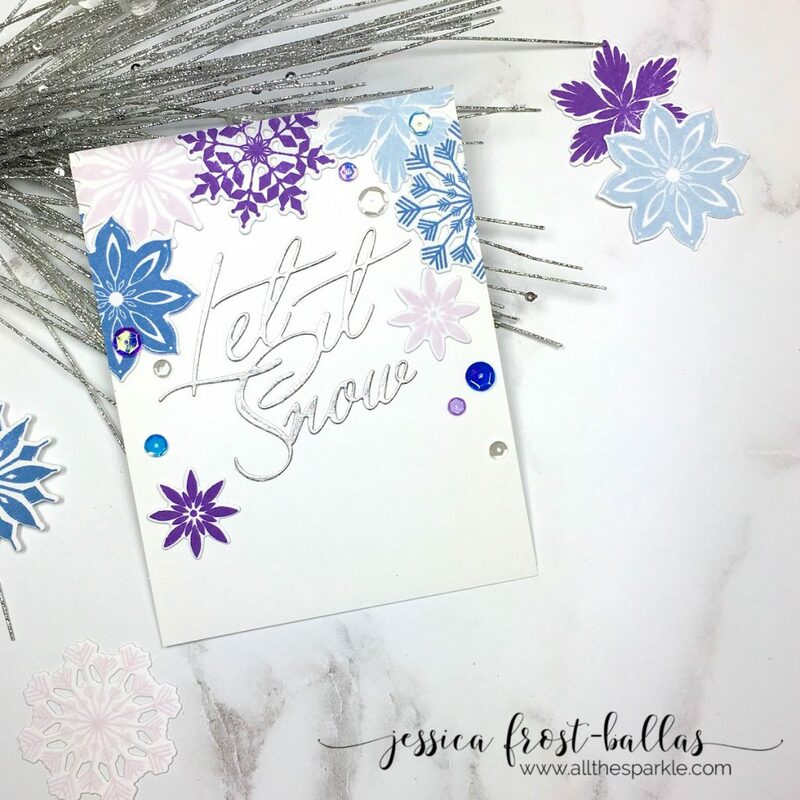 what a fun idea you’ve had Jess – you and Emily have both made such wonderful cards – and i love the idea of doing christmas cards together!